We now have a Facebook page so feel free to like it and set it up in your news feed. All the new posts will be linked there and feel free to join the conversation in the comment section. Today I’d like to thank Laurens Eliëns for sharing with us over 300 pictures of the incredible Den Haag concert. It’s as if you were there! 😉 You can find them in our Flickr album. Jonathan Ganley official site: pointthatthing. “Nick comes on to rousing applause, walking like a slightly drunken gazelle…. He tells a funny story about his first meeting with former Bad Seed Blixa Bargeld who would only speak German to him (“and I didn’t speak German”) but then eventually spoke in perfect English. 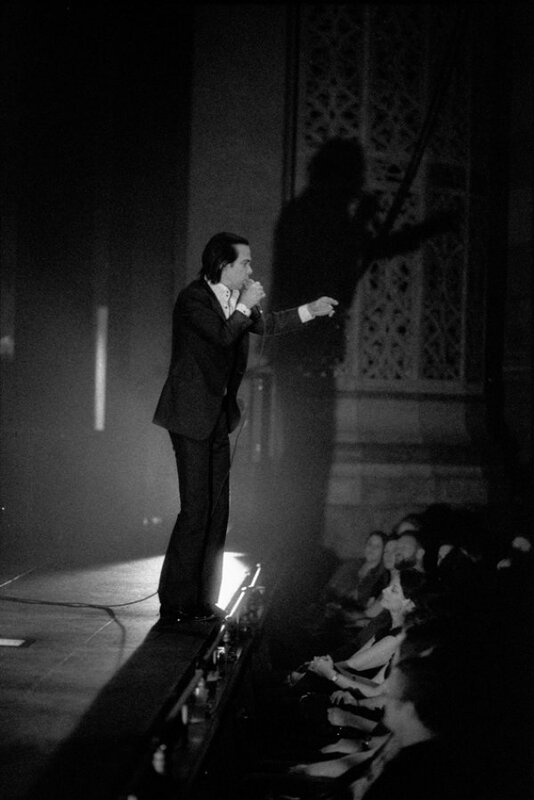 Read more : NICK CAVE ENCOUNTERED (2014): The man, the myth and the movie at Elsewhere.com.nz.